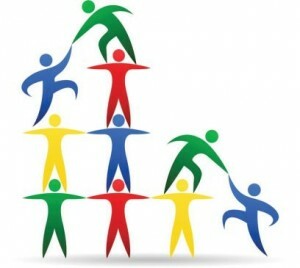 Team building exercises are a great way to build higher morale and create bonds among employees and management. Numerous studies show that the most successful companies are typically those that have loyal employees who see themselves as part of a team and directly relate the company’s success to their own. First and foremost, team building exercises should be fun. Employees work hard on a day-to-day basis, and team building activities should provide them with some relaxation, fun and amusement. In other words, team building exercises shouldn’t feel like work, despite the fact that many of the best team building activities challenge employees and management to exercise their critical thinking and creative skills. When people are having a good time with one another, they are building meaningful and effective bonds, often without even realizing it. The best team building activities are geared towards the needs, talents and capabilities of your office. Identify the weaknesses, as well as the strengths, of your workplace environment when planning your team building exercises. Does employee morale need a boost? Are office politics getting in the way of employee success? Is there too stringent an employee hierarchy or are there too many workplace cliques? The team building activities you choose should allow every member of your workplace or office to get involved in a meaningful and effective way. If you know that certain employees tend to lead, while others tend to fade into the background, allow for activities that allow each employee to take on a role outside of their comfort zone. If you’re dividing your office staff into teams, make sure that you choose teams that include members with diverse talents and strengths, allowing for employees to socialize and collaborate with people they may not normally associate with. Whether you want to take your office outside or stay indoors, we offer multiple fun and challenging activities that will get your employees involved in exercises that foster team building in meaningful and effective ways. Often the most fun and productive team building activities are the most challenging, requiring employees to work together to find creative and effective solutions to tasks or problem-solving exercises. Activities that necessitate that staff (management and employees alike) to combine their critical thinking and problem-solving skills have been proven to boost employee morale, as well as daily productivity. Choose fun and challenging team building exercises that will get people thinking outside of the box. Many people find themselves in a rut in their professional lives at some point, especially if they’ve been in the same position for a long period of time. One of the great benefits of team building activities at Tangram Events is that they get people thinking in new and creative ways, and often acting outside of their comfort zones. If employers allow for their employees to ‘shake it up’ in fun and exciting team building exercises or corporate events, they will likely see the benefit of that manifesting in a higher level of employee success and satisfaction.